Where I am so far. I found it difficult on some muscles to know for certain if i was outlining the right areas. It looks okay but I don't know for sure. I then decided to go on to the next assignment and thought that maybe if I learn where the muscles are first I could see the outlines better if that makes any sense. 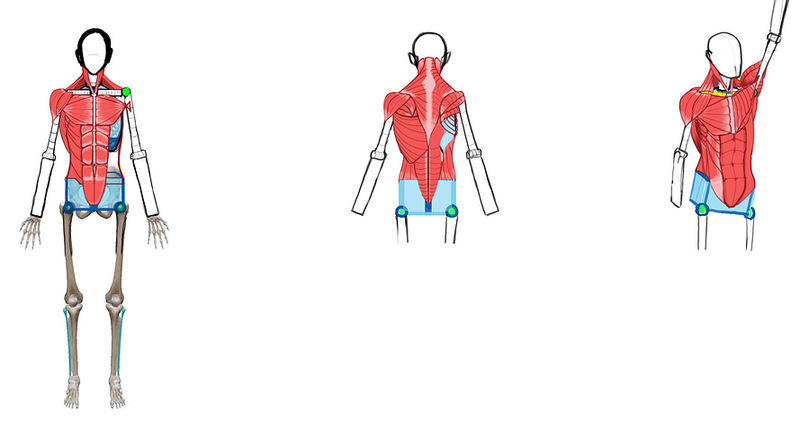 Taking the time to learn about these major muscle groups has given me a better understanding not only to where the muscles are but also to what bones they're attached to. The images of the skeletons i got from pausing and screenshoting Marc's video. I try to use them as reference to train my eyes. i figured the more I see them, the faster ill learn them. 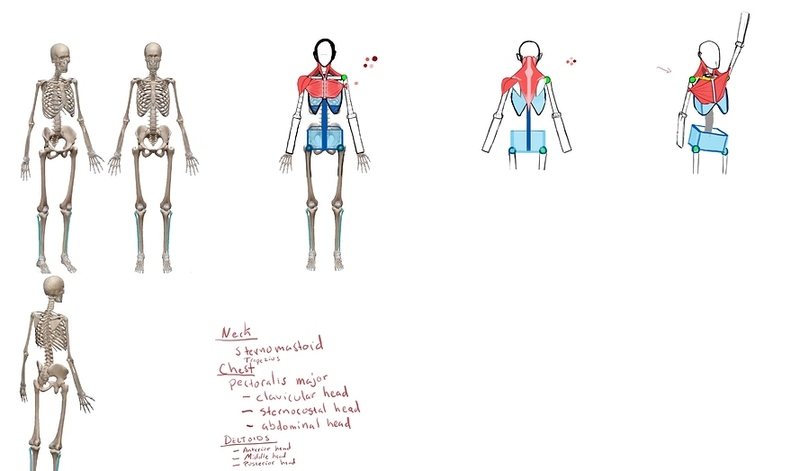 The perspective skeleton is the one that i find the most difficult especially in trying to figure out how to place the deltoids. Still having some trouble with the perspective skeleton but I think I get the idea. Practice... pracrice.. practice. Attempt #2 of muscle group outlines. it. You did a nice work in regards to the folds though! Great job! @Alan_Nkenge thank you for taking the time to give me this feedback. The paint over really helps me see how I can improve my shading. 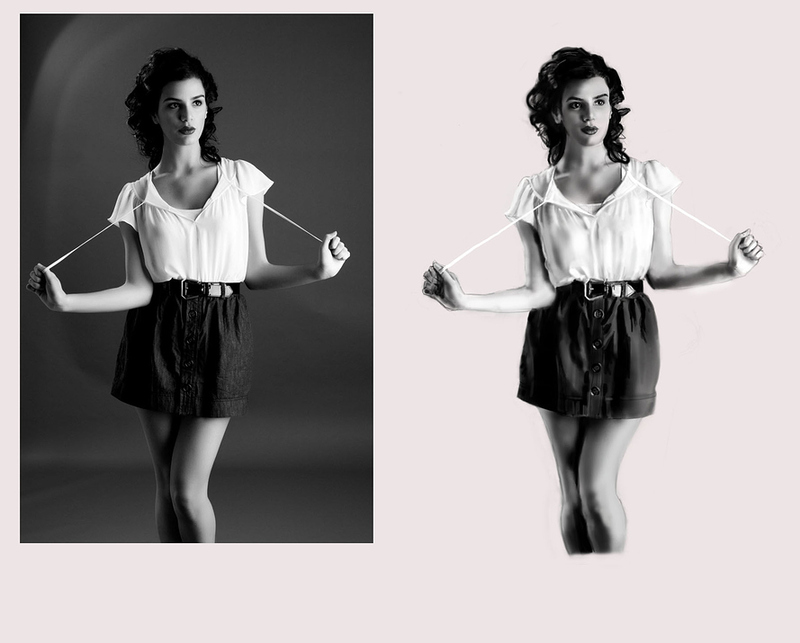 I can see now how the shadows I made don't correlate to the darker shades of the model.